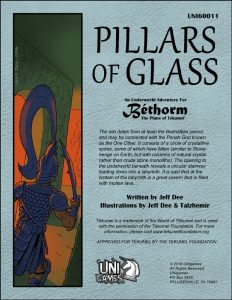 The new Bethorm RPG adventure, Pillars of Glass, is now available as a PDF from RPGNow and its affiliates. Get it HERE! Our new Kickstarter project is now live! The Kurt Hills Fantasy Atlas is a detailed map and guide to the Empire of Tsolyánu’s Kúrt Hills region from the Tékumel / Empire of the Petal Throne fantasy RPG setting. 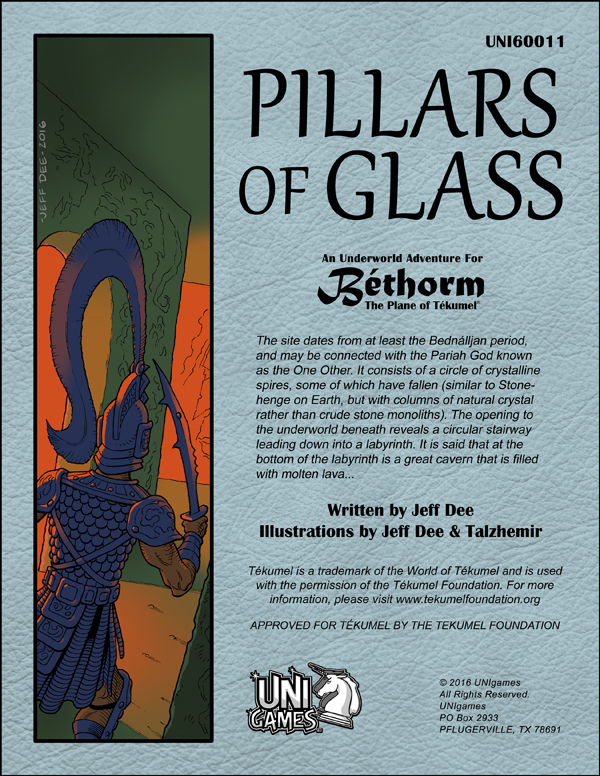 Usable with Béthorm: the Plane of Tékumel or any Tékumel-based RPG, and a fascinating read for any fan of science-fantasy! UPDATE: The Kurt Hills Atlas Kickstarter met its initial $2500 funding goal – less than a day after launch. Huzzah! UPDATE: The first TWO stretch goals are now unlocked. The book will have color cover art, and the map will also be in color. Next up: bonus b&w interior artwork!